Ricardo Rodriguez, the owner of A-Rod Grocery in New York City, wants to fix his store's public image in light of the downfall of Alex Rodriguez. So, he's trying to find a suitable new name. 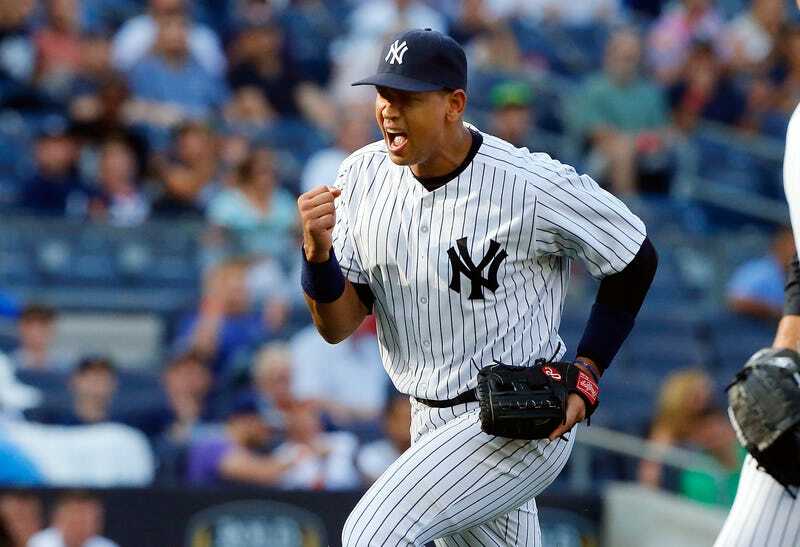 Rodriguez is not related in any way to the Yankees' third baseman, but the story was named after A-Rod 13 years ago when our only knowledge was that he was an excellent baseball player. Now, A-Rod's reviled by everyone, and Rodriguez doesn't want you to think of Biogenesis while you're picking up produce and meat at his spot. He's accepting any suggestions for a new name. Ricardo and Alex are both Dominican, so if he wants to stay with the homage to his nation, maybe he can change it to Robby Cano's? He should probably make sure Cano re-signs with the Yankees first, though.